Peyton Williams Manning was born on 24 March 1976, in New Orleans, Louisiana USA, and is a retired American Football quarterback, considered as one of the greatest National Football League (NFL) quarterbacks of all time, due to achieving numerous feats throughout his career. He played a total of 18 seasons, with the Indianapolis Colts and the Denver Broncos. He was a first overall draft pick, and subsequently set numerous NFL records, including in passing yards, AP MVP Awards, Pro Bowl appearances, and touchdown passes. He won the Super Bowl two times, the only starting quarterback to win a Super Bowl with two franchises. So just how rich is Peyton Manning? As of early-2018, sources estimate a net worth that is at $200 million, mostly earned through a successful career in professional football. He earned numerous high profile contracts throughout his career, and managed to maintain as well as increase his value throughout his tenure. As he continues his endeavors, it is expected that his wealth may well continue to increase. 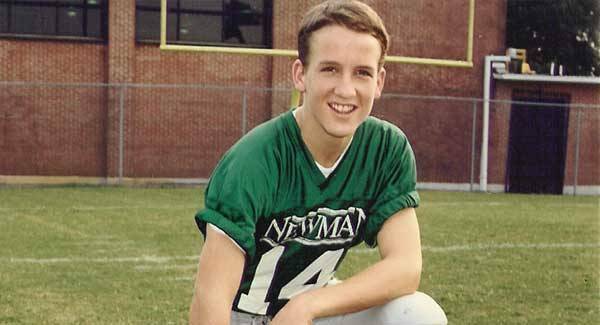 Peyton began his journey to professional football when he attended Isidore Newman High School, and helped lead their team to a 34-5 record in three seasons; he won numerous honors and became one of the most sought-after high school players in the country. He was pursued by 60 colleges, and chose to play for the University of Tennessee Volunteers. The move surprised a lot of fans as he did not choose to play for the Ole Miss Rebels whom his father played with. He eventually became Tennessee’s all-time leading passer with 11,201 yards and 89 touchdowns, winning 39 out of 45 games as a starter, breaking the Southeastern Conference record for career wins. While attending the university, he was accused of sexual harassment by female trainer Jamie Ann Naughright in 1996, when it was reported that he exposed his buttocks during a foot examination. Manning then defended himself and said that he was just pulling a prank by mooning another athlete in the room. The case was settled with Naughright leaving the university and receiving $300,000. In 1998 he nominated for the NFL Draft, and was selected by the Indianapolis Colts as the first overall pick. He would go on to play a full 13 seasons for the Colts before he was sidelined by a neck injury which cost him the 2011 season. After recovering from the injury, he was released by the team and joined the Denver Broncos until his retirement in the 2015 seasons, so playing a total of 17 NFL seasons excluding his injury year. After his professional run, he was considered as one of the greatest NFL quarterbacks of all time, being named the NFL’s most valuable player a record five times in his career, and being named to the Pro Bowl 14 times, and became a first-team All-Pro seven times. He had a career winning percentage of .702 in the regular season as a starter, and holds the NFL record for career touchdown passes and career passing yards. The only criticism from his career is that he didn’t have the same level of success in the post- season compared to his regular season success. Despite that, he won two Super Bowls in his career, Super Bowl XLI and Super Bowl 50. He also played in two other Super Bowls, and was named the MVP of XLI. Throughout his run, he became the only quarterback in NFL history to make the Super Bowl four times with four different head coaches. Peyton’s father is former NFL quarterback Archie Manning, and his brother is also a two-time Super Bowl champion Eli Manning. In 2001, he married Ashley whom he met as a neighbor during the summer before his freshman year in college. They have four children, two of whom are twins. Manning has stated that he has been a Christian since the age of 13. He is known for having a great memory and reportedly memorized the Colts’ playbook just a week after being drafted. He also co-authored the book entitled “Manning: A Father, His Sons, and a Football Legacy” which he worked on with his father. The book covers both of their lives and careers up to the point of the book’s release in 2000. The significant amount of money that he managed to earn through professional football isn’t enough for Peyton to buy an NFL franchise by himself, however, he previously owned all Papa John’s pizza stores in Colorado before selling them in early 2018. Peyton has donated money to various Republican politicians, and also does a lot of other philanthropic work, particularly known for helping during the wake of Hurricane Katrina, alongside his brother Eli. He also started his own charity named “The Peyback Foundation” which aims to help disadvantaged kids.